Witch’s Rock Surf Camp is stoked to be working with Robert August, star of the most influential surf movie of all time: The Endless Summer. When the film debuted in 1964 it launched the modern surf and travel era and lured millions of people to ride waves around the world. Robert helped put Costa Rica on the global surf map back in the early 90’s when he and Bruce Brown filmed Witch’s Rock, Ollie’s Point, and Tamarindo for their sequel movie, The Endless Summer II. At that time, Robert built a house in Tamarindo and has been a regular surfer in Costa Rica for twenty years. In 2011, he moved here full time with his young daughter, and became a key member of the Witch’s Rock Family, teaching seminars on the History of Surfing, and holding surfboard shaping seminars here on the beach in our little shaping and glassing facility. Now relocated to his original home in Southern California, Robert frequently returns to Tamarindo to visit his second family here at Witch’s Rock Surf Camp. 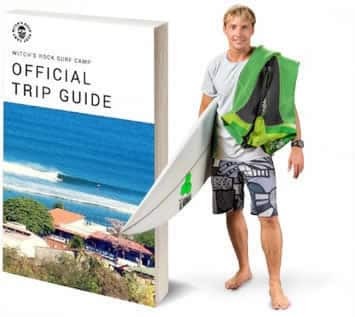 Whether he is hanging out on the beach teaching his daughter to surf, in the camp chatting with guests, or custom shaping a surfboard for one of our guests, he’s a great ambassador to surfing in Guanacaste and Witch’s Rock Surf Camp. Get your own Robert August Custom Shape! 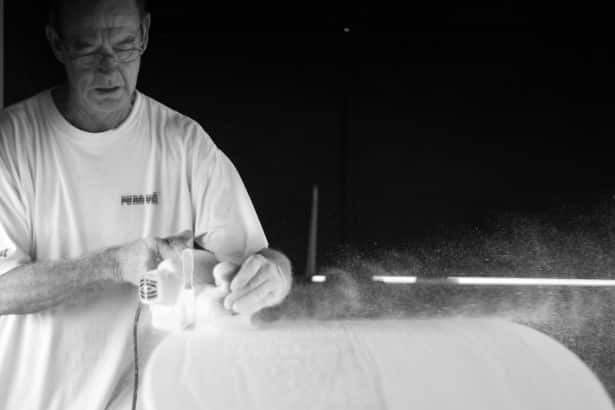 Robert is a legendary surfboard shaper (over 40,000 surfboards shaped by hand over five decades) with one of the longest-running surfboard factories in Huntington Beach California and now in Tamarindo. Robert focuses on one-of-a-kind custom boards for surf enthusiasts everywhere, although he only shapes about 100 boards a year, averaging 2 surfboards a week. If you’ve ever wanted one, don’t hesitate to ask! Robert has his own shaping studio at Witch’s Rock Surf Camp that he uses during his visits. Let us know what you want, and we can help you get that custom board of your Endless Summer Dreams.